What better way to spend a cold, snowed in evening than with some chocolate chip cookies that will warm up your night? 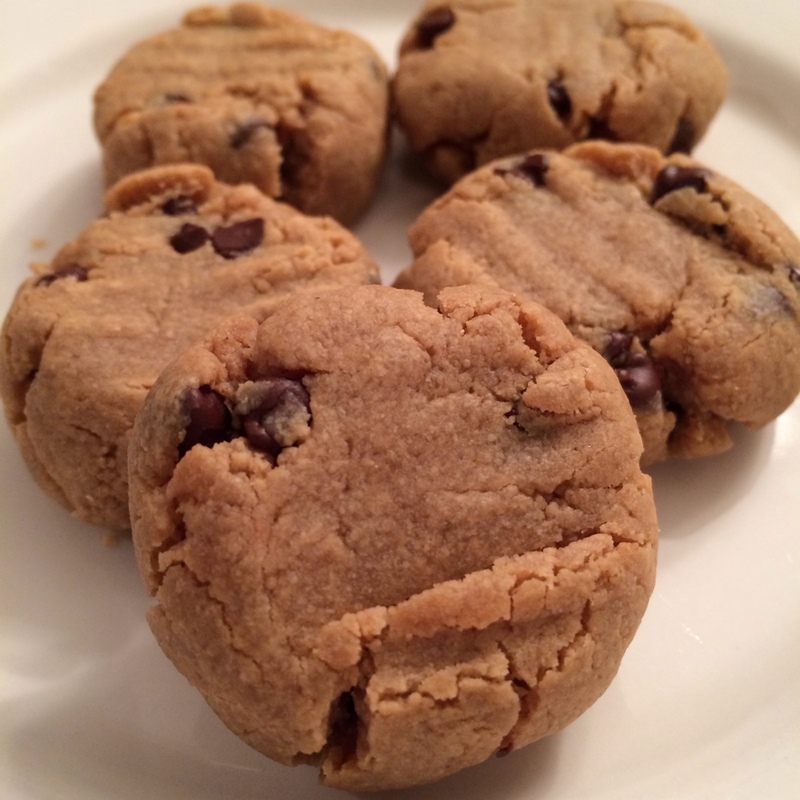 These cookies go from scratch to your mouth in less than 20 minutes! Not only are they dairy free, but they are packed with protein and fiber that will keep you full after only a couple! So, kick up your feet and enjoy these with a cup of tea or hot cocoa by the roaring fireplace! Combine all of the ingredients, roll into balls and bake for 12 minutes on a parchment paper lined baking sheet. Enjoy!